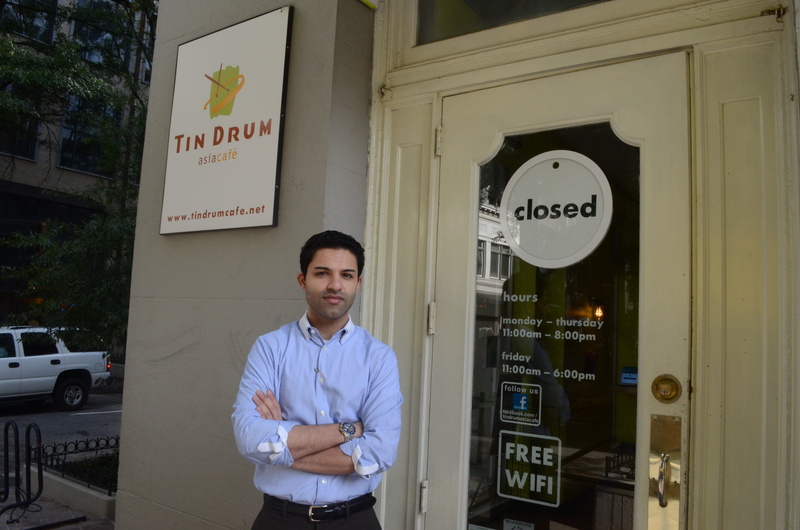 Visit the Tin Drum across from Aderhold Learning Center any day of the week and you’ll see the building teeming with students and local businessmen stopping for a hurried lunch break. Asad Mazahir, a 21-year-old senior finance major at Georgia State, climbed his way to the top of it all. This is Mazahir’s first year as a business owner after being in the restaurant industry as a dish washer, busboy, server, cook and manager for seven years. Mazahir learned most of what he knows about business operations from his jobs at IHOP. He says he has always wanted to own a business, and Tin Drum is just the first step. Mazahir saw that Tin Drum’s appeal is that it is a relatively new idea and has bright opportunities in the future. “I just could not give up the opportunity to jump on board,” said Mazahir. And the leap of faith paid off. It is very difficult for young entrepreneurs to gain enough trust from angel investors, who invest in on-going businesses and start-up businesses, so Mazahir relied on his family and friends to help him finance his purchase. Asad Mazahir in front of Tin Drum. “I love my work and I love my family even more,” he said. His family is the most important aspect in his life, as they’ve been with him through the good and bad times. And now that he is a restaurant owner, he is feeling the benefits of his hard work. Mazahir has advice for students who wish to go down the same path as him.